The Paradise Royal Mare's on-site restaurant offers a hassle-free option for those preferring to dine in. 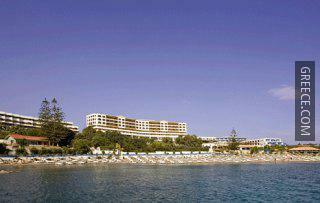 Diagoras International Airport is less than a 30-minute drive from the Paradise Royal Mare. Rhodes City city centre is within a 10-minute car ride away.